Luke-warmly received on release, Woody Allen’s Another Woman has rightly gained recognition over the years. This melancholy drama is a tender, complex and affecting character study of a woman caught between middle-age regret and marital resentment. Writing from her apartment, philosophy professor Marion (Gena Rowlands) overhears the psychiatric therapy sessions conducted next door. She initially tries to ignore the intimate conversations before inevitably being caught up in Hope’s (Mia Farrow) confessions, whose life strikes a chord with Marion’s. The women in Allen’s films are so often the objects of affection, desire or redemption in Allen’s work, but told from her perspective, Another Woman treats Marion sensitively as a complex, autonomous subject. Privileged, educated and wealthy, Marion is nevertheless wracked with the anxieties of a life with more years behind it than in front, ruminating on roads not taken, poor choices made and others never explored. 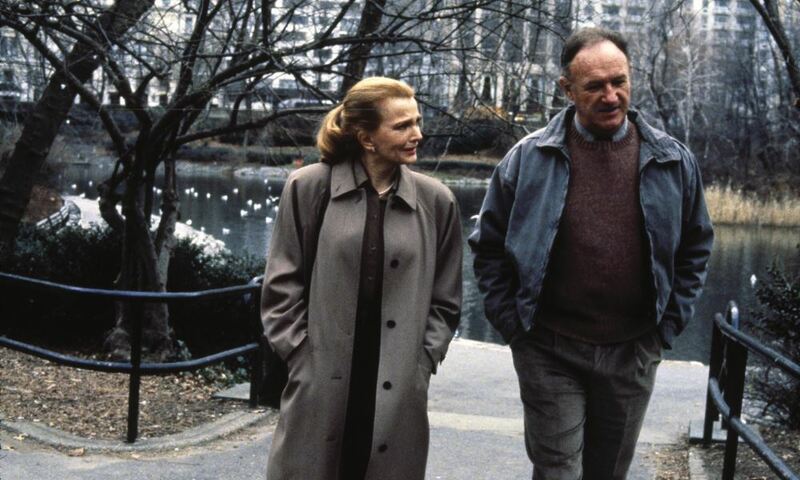 Another Woman brims with those quiet, universal moments of humanity that Allen has such a knack for capturing – the weaknesses and untended desires to which we’re all victim, all of which are portrayed tenderly and without judgement in Rowlands’ quiet, compelling performance. The lack of moralising is important and we’re never asked to condemn Marion for the affair that she once had with her now husband, Ken (Ian Holm), nor for the affair of the heart that she conducted with long-term friend Larry (Gene Hackman). As you might expect from the director of Manhattan, Another Woman is gorgeous, with a warm autumnal colour palette that both signals Marion’s latter-day melancholy and evokes an ineffable New Yorkian upper middle class urbanity. Moving, too, are the dream sequences in which Marion conflates failed relationships past and present, watching Ken perform their lives on stage as if they were a play. These sequences not only capture the quiet confusion of dreaming, but also the ways that Marion’s sense of herself in time is collapsing – she at once a senior academic and vulnerable undergraduate; an adulterer and betrayed wife – neat little units of identity, conveniently separated until a moment of self reflection sends them spilling into one another. Practically a scholar of sexual neurosis, Allen has always had a knack at depicting the humanity of the questionable choices people make in life. But few of his films have captured that humanity with the dignity and pathos of Another Woman, due in no small part to an understated star turn from Rowlands and a script that resists passing judgement on the faults of its characters.